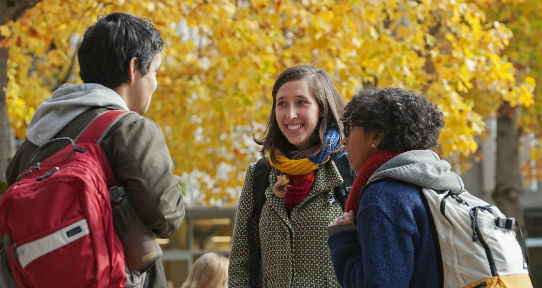 Students meet outside the entrance to the Mearns Centre for Learning - McPherson Library. How do UVic Libraries support grants and awards? The Grants and Awards Office in the University Librarian’s Office supports and enhances the research activities, advancement and community engagement priorities of UVic Libraries, specifically in the areas of grants funding and awards, as well as special projects related to community engagement. Adhering to the ongoing principles of UVic Libraries' Strategic Directions, 2018-2023, the Grants and Awards Office is administered by Christine Walde, Grants and Awards Librarian. To learn more about Grants and Awards, visit the Grants page and the Awards page. To set up an appointment with the Grants and Awards Librarian, contact Christine Walde.